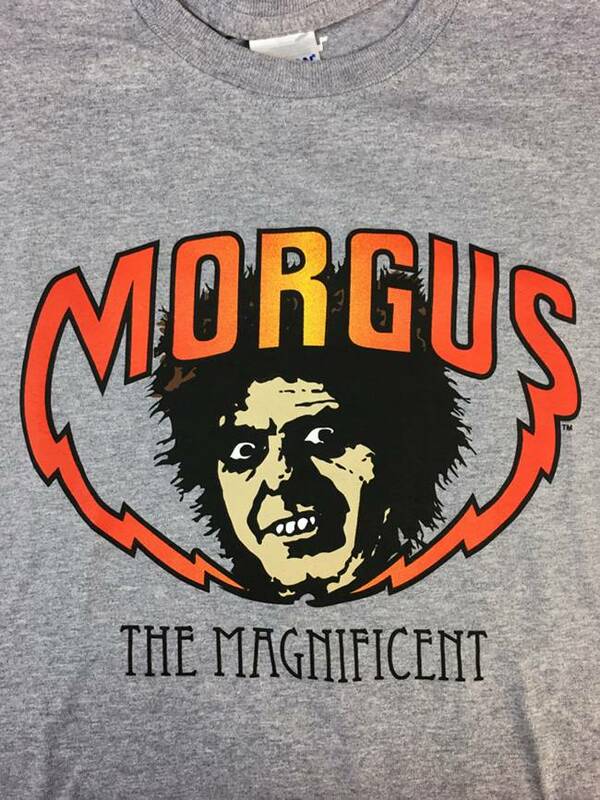 Morgus the Magnificent, or Dr. Morgus, hosted science fiction and horror movies on New Orleans tv for decades. 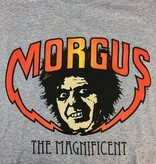 This tee pays homage to his funky, funereal fun. Female tees printed on 50% polyester/25% cotton/25% rayon scoop necks. Unisex tees printed on 90% cotton/10% polyester crew necks.